Quick paints are always tough, sometimes I wonder if the painting quality suffers. I like them because of the challenge. Most are limited to two hours from start to framed. The time goes by in a blink and you have to be really focused. The photo below shows just how focused we are during these events. If you are wondering, most framing is done in the trunk of your car! This painting can be shipped. Inquiries to mucciyvonne@yahoo.com ©Yvonne Pecor Mucci All rights reserved. If you’ve never tried painting outside in the dark, you wouldn’t know how much fun a Nocturne can be. Every artist has a different setup, you can see mine below. A few lights on my easel and I was good to go. “Who Wants Gelato” was painted during Plein Air Brandywine Valley in late fall. Bar Avalon in West Chester hosted us with all kinds of delicious food! The “Webb House” sits across the meadow in Longwood Gardens. This is a favorite place to paint because the meadow continuously changes color throughout the day. This painting can be shipped framed or unframed. Inquiries to mucciyvonne@yahoo.com A portion of the sale will be donated to the beach house. ©Yvonne Pecor Mucci All rights reserved. It was a gray and breezy day on the Cohansey in Southern New Jersey. This means no flys, perfect for painting en plein air! 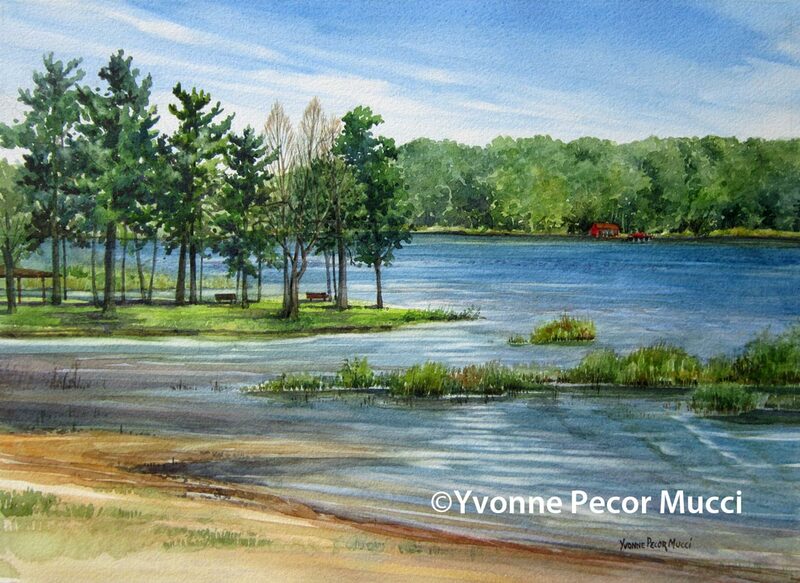 “Waiting To Sail” watercolor was painted for Cumberland County Cultural and Heritage Commission’s Cohansey Riverfest. 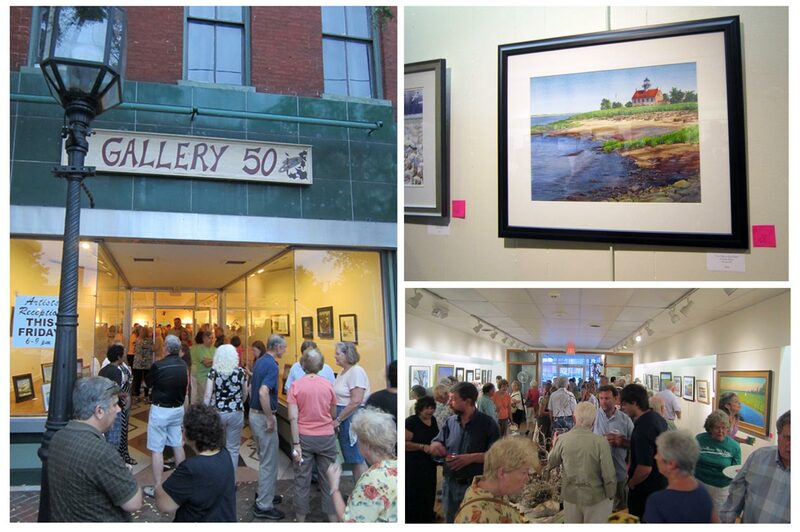 This is a yearly competition and exhibit at Gallery 50 in Bridgeton, NJ. Had a pretty successful day of painting. My second watercolor is shown below. I was experimenting with Holbein Lavender. I like it enough to keep it in my palette, for now. Both paintings can be shipped framed to 11 x 14, or unframed 7.75 x 10.75. 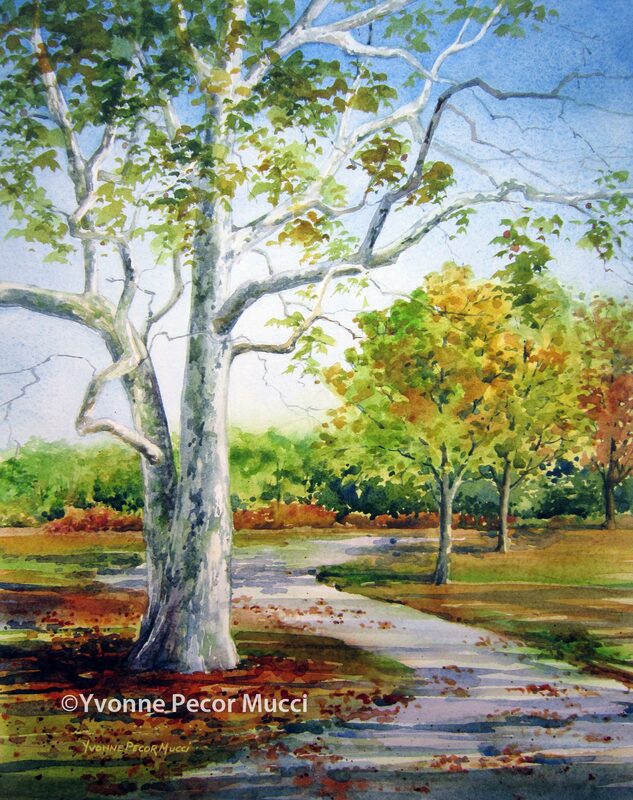 Please email me at mucciyvonne@yahoo.com ©Yvonne Pecor Mucci All rights reserved. Up and down the eastern shore thousands are enjoying the carefree days spent at the shore. 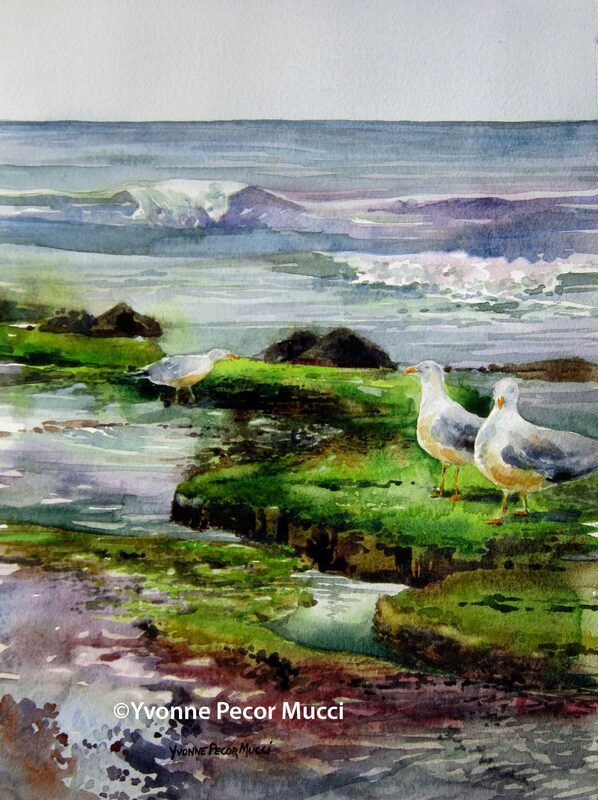 Easy days are depicted in “Shore Breeze” watercolor. Inside Brandywine River Museum made for a cozy day of painting during Chadds Ford Paint Out. Large sunny windows were a great alternative to freezing temps outside! Exploring the landscape during winter really expands your understanding of the landscape. Love this event, especially since I got to paint with a few friends. 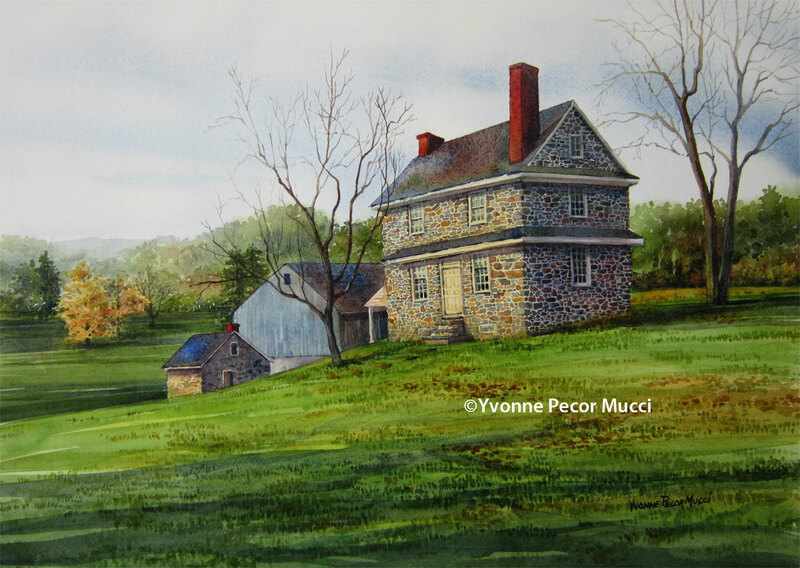 This watercolor was painted during the Chadds Ford Paint Out on February 1st. Winter exposed these gnarly trees along the creek and there was enough light left on a very cold day to get one more painting completed. So glad I did because the colors are beautiful in this season, you just have to bundle up, get out there, and enjoy them. Chadds Ford Paint Out is one of the few winter plein air events on the east coast. No awards are given, just a whole lot of great painting. This was the first day of painting on a low light and cold day. The temperature was above freezing and with the addition of hand warmers in my boots I had a full day of painting. Winter is an amazing time to paint because everything is exposed and the gentle color is beautiful. 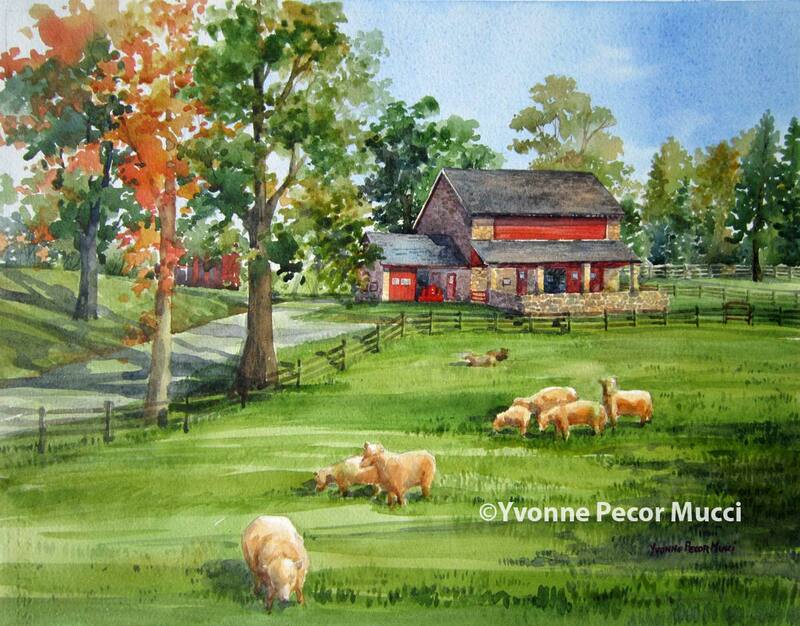 Coverdale Farm Preserve, located in Greenville Delaware, was my painting location site for day one of the Plein Air Brandywine Valley competition. Great spot, full of animals and a gorgeous field stone barn. So many subject choices here, but I loved the sheep leading up to the main barn. Perfect sunny day resulted in this painting. East Point Lighthouse sits along the Delaware Bay in one of the most serene, beautiful locations in Heislerville, New Jersey. 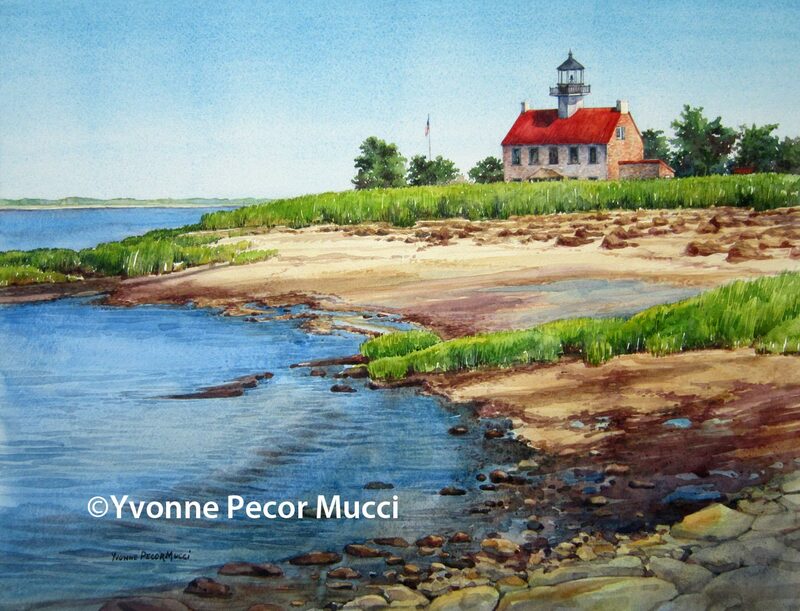 In this watercolor, I wanted to portray the sea grasses and the terrain leading up to the light house. I know this location has been painted, sketched and photographed by numerous artists over the years, but it is irresistible subject matter. Painting on location here is unbelievably peaceful. I painted “Low Tide At East Point” for the annual Nature And The Landscape competition through Gallery 50, Inc. in Bridgeton, NJ. The exhibit is a comprehensive look at the watershed throughout southern New Jersey as portrayed by many local artists. I was thrilled to be included. 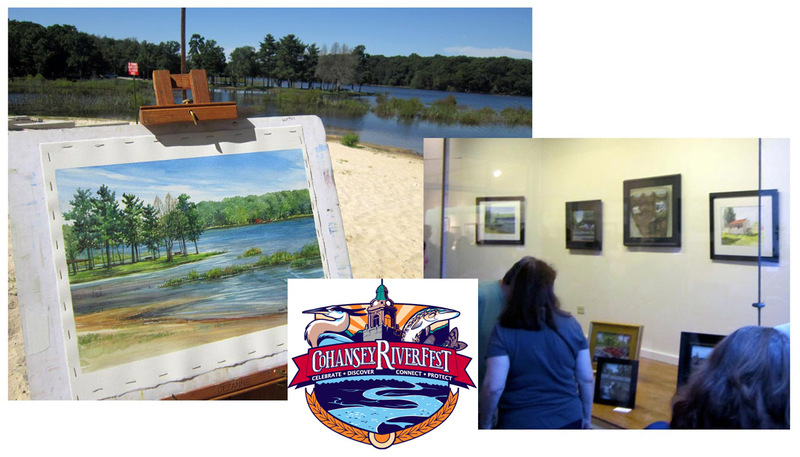 The Cumberland County Cultural & Heritage Commission partners with Gallery 50, Inc. in Bridgeton, NJ to host the Cohansey Riverfest Plein Air Competition. 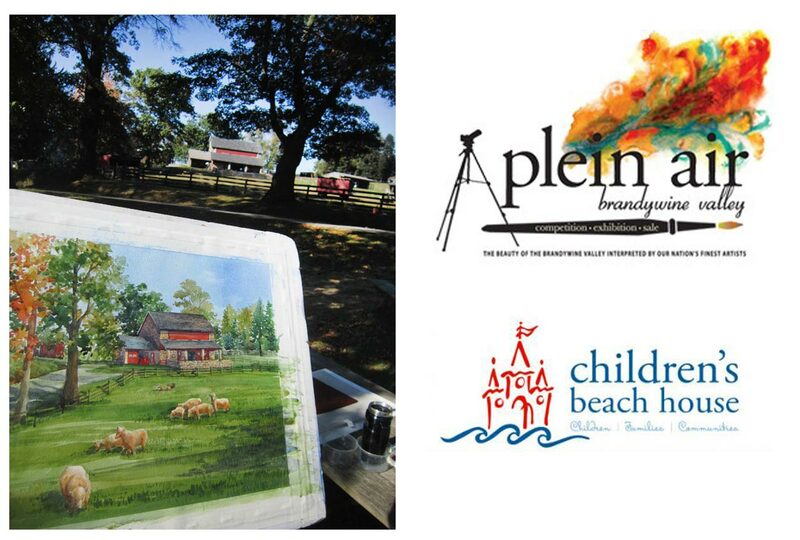 Each year the number of local artists participating increases, which results in a beautiful painting exhibition featuring a very important watershed in southern New Jersey. Thank you to Matt and Gallery 50 for all their work in putting this event together. Last year when I participated, Sunset Lake was down to a small stream. So happy to see the repairs finished and this lake back to its previous splendor. Nice day painting while watching ducks, fishermen and locals come and go! 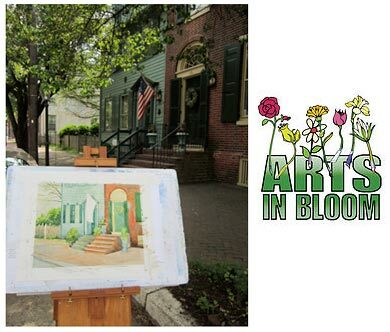 The weather was great for the Salem County Arts In Bloom tour! Once again, Royal Port Antiques hosted the Art League. Just south of Royal Port you can find many beautiful historical homes, which is where I painted en plein air. These doors and the flag drew me in. It was a lot of fun to talk with people taking the tour while painting. 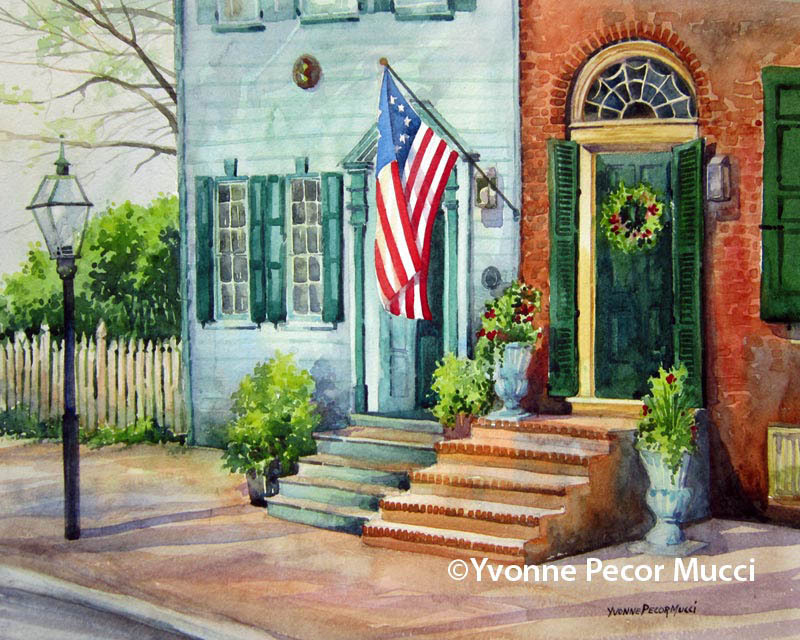 Salem Pride watercolor depicts two homes on Market Street in Salem, NJ. To the left is the James Wood – 1760 colonial, on the right is the Samuel Clement – 1790s federal style brick.